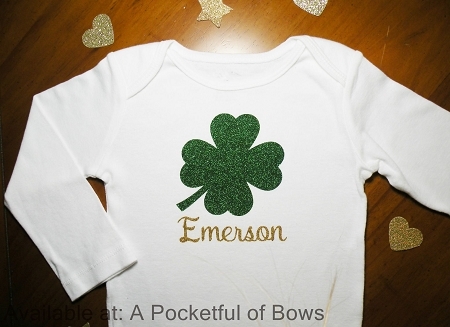 Saint Patrick's day baby boy or girl body suit or toddler tee shirt. Comes with a glitter green clover and custom name in gold. ***Available with boy or girl name.